Gjalt schreef: Het lijkt nogal stil de laatste tijd rond deze cabs. Heeft er iemand ervaring met de kleinere 112 cabinetten van FMC, ze lijken heel erg interressant voor de prijs namelijk. Inderdaad. Ik heb in dit draadje eigenlijk alleen maar positieve geluiden gehoort. Echter heb ik destijds besloten om niet dat geldbedrag voor een speaker neer te leggen zonder hem te testen. Because of the 6" Speaker (wich goes up to 10KHz) both Cabs are usable on its own and together you are prepared for nearly every venue. Nice Die 15.6 maakt mij wel nieuwsgierig. Ik ben nog steeds redelijk tevreden met mijn FMC 212.8 maar had misschien achteraf ook kleinere losse lichtgewicht cabs genomen. ....and together. But just a quick Handy Shot. 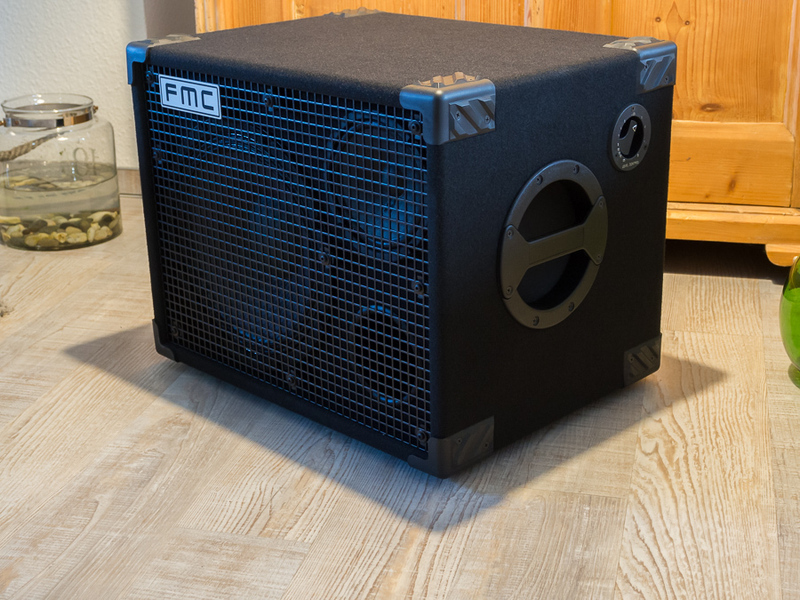 Het is een zeer oude post maar toch, hier mijn nieuwe FMC 312 MH met een 8" en tweeter. Zeer fraai om te zien en inderdaad een prijs met een hoog HKZHEVM gehalte (Hoe Kunnen Ze Het Er Voor Maken). Echt geinig dat iemand onder custom daar gewoon een rode baffle heeft besteld, voor 29,- euro meerprijs heb je dan een soort VDK look. De website heeft ook een knap overzicht van alle keuzemogelijkheden zonder dat het overdaad aan info is. Helaas nooit deze kastjes gehoord maar de looks en mogelijkheden zijn meer dan goed. I ordered a new Cab at FMC. 212H UL. 2x12 Speaker + adjustable HF Horn, 600W at 4 or 8 Ohm, 102db@1W/1m, 17,8Kg, with Downfire Pricipe, wich means the Reflex Port is in the Bottom of the Cab. I am awaiting it for Mid September, as Hans from FMC is on Holiday right now. Down firing reflex port? The cab is not for live performance? I fear all but the most solid stages or solid flooring will turn into a resonant mess. Curious how that will turn out! The opposite Effekt is the Result. The Bass is much more defined and articulated as the Distance from the Bottom of the Cab to the Ground is well calculated, what means the "Feet" of the Cab are slightly bigger/higher than usual. There is a big "Thread" about FMC on the "Bassic Forum" and the Results are very good. Another Effect is, that you have no Problems to have your Cab positioned in a Corner of a Room, where you may have Problems with the Ports on the Rear Side. But they didn't test what happens when you're on a typical wooden stage with a huge echoing space beneath it. On a big concrete slab, it probably won't be troublesome and maybe even better sounding than a rear or front firing port...but what hapopens when you're standing on a stage that starts dancing along with the tunes? Hi there, ... Oh...I am not that much into it, that I could explain how that works at least. 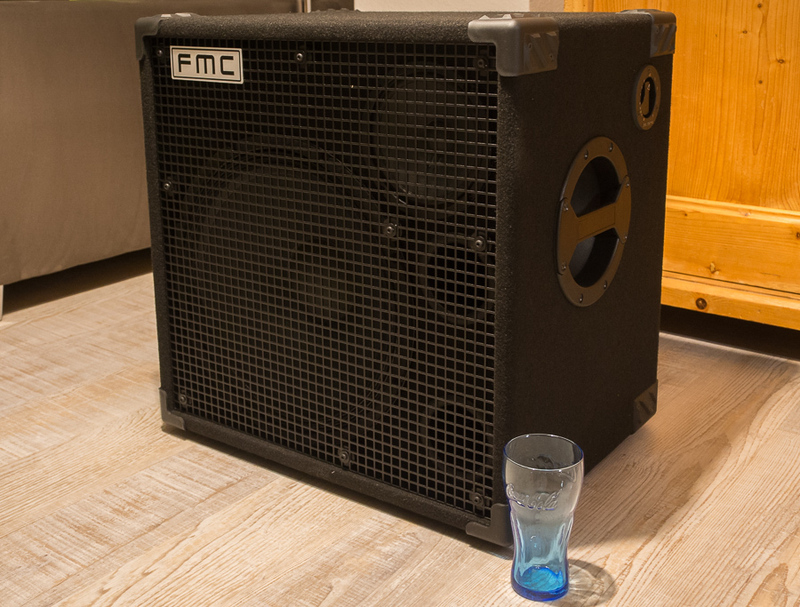 But i trust Hans from FMC for 100% as he always hast the Will to bring the Best with his Cabs and he is a Bassplayer that plays many Gigs too. He is a regisered Member here too, but he is on Holiday right now. When he is back, I'll invite him here to explain. There is a very big FMC Thread on Bassic Forum, where this Theme was dicussed and all Members who have tested, were very impressed with the Results. 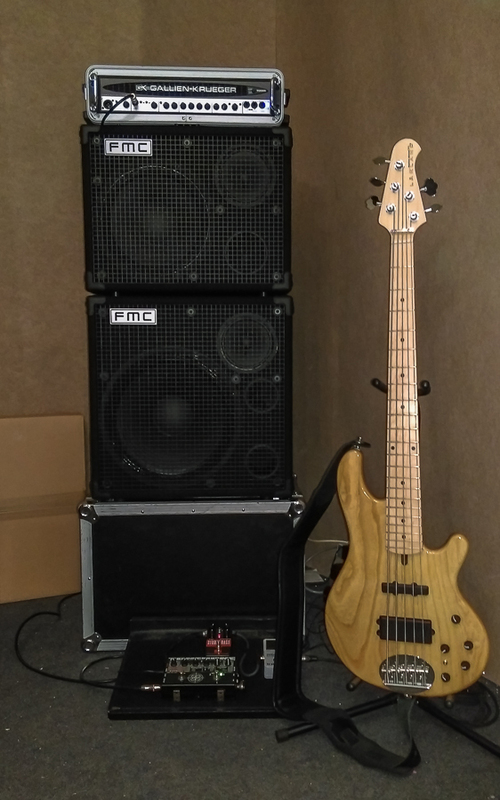 Edit: I 've read Parts of the Bassic Thread...The Result on wooden Stages is not that dramatic, as maybe expected, as the DIstance from the Bottom of the Cab is some higher as on normal Cabs. If it gets problematic, the Ports have the Dimensions that you can close them with Soundhole Covers like used on Acoustic Guitars and turn the Cab into a closed Cab. my english is not so good that i can explane it perfectly, sorry for that! Small cabs have often rearports because there is no more space in the baffle or the producer likes the ( for me terrible ) sound of this construction. I built thre versions of one and the same ab to try out what is the difference of front, down and rearfire. Front ist the best solution but not always possicble in very small cabs, but i always prefer building Frontports if possible. Rear is indirect, very roomfilling often boomy ( some like that ) Sound. Problems when come close to walls and corners with resonances. Down, is more much more direkt and not boomy. You can go direkt to the wall becaus there are 3 sides left to let the lows out. I also had the fear of resonance problems with wooden stages. The downfire cabs are in use by a lot of bassplayers now, professionals and amateurs, at least by myself ( I play an 215 UL in a reggae band ). Nobody had problems till now. When I play in corners ore reverbing rooms I plug in fitting Rubber Soundhole Covers and have so a complete closed System with very tight lowend performance. Till now it did not often have to use this posibility only in real extreme situations where you would have problems with any reflex system. I had also a test of a 12" and a 15" Cab in the german fancine "Gitarre und Bass" and the author was also impressed by the good function of the downfire system. Mesa Boogie used a similar construction with their very succsessful walkabout basscombo. The cab of area is finished and will go out next week. I´m looking forward to here from his experience. Nice of you to respond here and clarify some things! It's a good example of how something can sound like a physics nightmare (downwards firing subs on top of a resonant floor), but in practice actually work Nothing can beat the ears when it comes to sound.